Crafted for excellence. 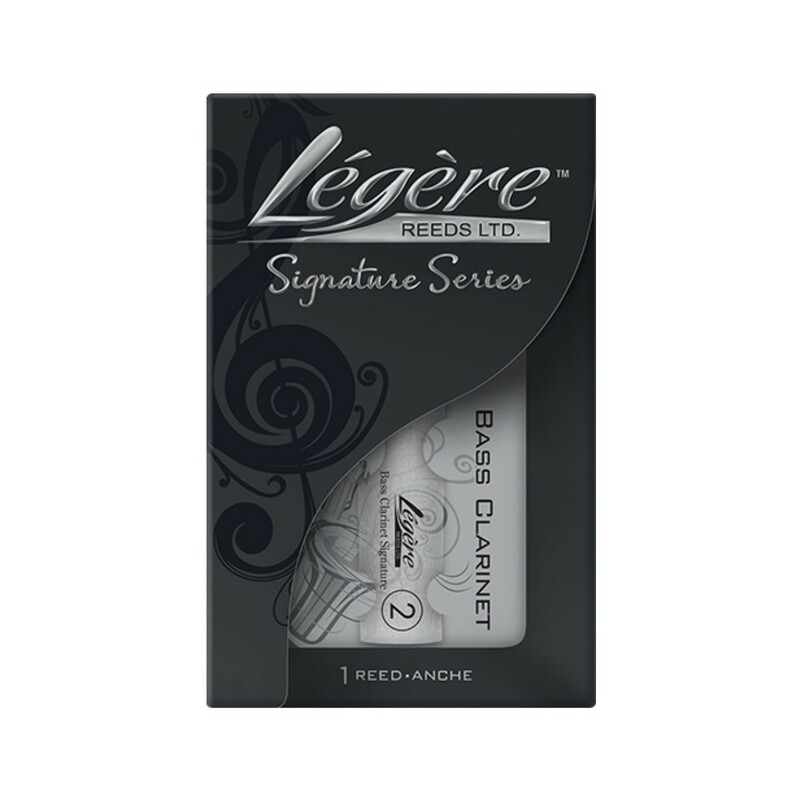 The Legere bass clarinet Signature synthetic reed with a strength of 3 enables you to effortlessly generate a clear, focused sound. Created from composite materials and cut thinner, this reed is designed to be more durable and stiffer than a traditional cane reed. Producing a warm, rich tone, this reed is designed to be consistent throughout all registers of your instrument. The added flexibility of the tip ensures that a wide range of colourful overtones can be created. With a free blowing nature and ease of articulation, the Signature reed is designed for both advancing and professional clarinetists.